Autumn Festival : The 2015 edition proposed 58 performances in 43 different locations in Paris and Île-de-France, gathering more than 200 thousand spectators and achieving a level of presence of 95%. For the return of the autumn/winter season, from September 07 until December 31 2016 the Autumn Festival and its winter extension propose a real contemporary and multidisciplinary artistic festival in Paris. For all information about subscriptions and reservations, contact the neighbors at the BVJ LOUVRE Youth Hostel: the Autumn Festival team in Paris, at the number 01 53 45 17 17. Techno Parade : Prepare yourself in Saturday, September 24 2016, for the 18th edition of the Techno Parade, which awakens Paris every year in September since 1998! As always, a dozen of chariots will play electronic music honoring the 2016 edition with a young and festive parade, playing from house to electro, visiting dubstep and drum n’ bass! We often ignore it, but the Paris Techno Parade is, above all, a welcoming event: it hosts all the organizers, labels, artists, collective groups, people with different projects that want, in their own way, to enlighten a fold of electronic cultures riding a chariot. For now, the inscriptions are opened to introduce your chariot at the Paris Techno Parade. The quality of the musical program, the decoration, the animations, the eco-conception walks are all standards to follow to participate on the Techno Parade. 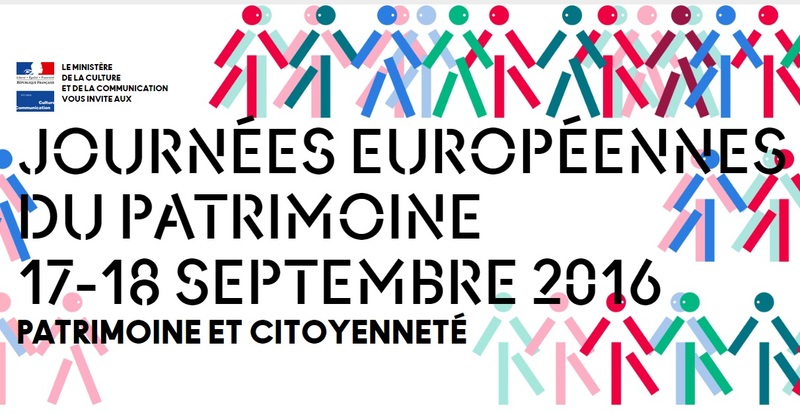 Patrimony Journeys : it’s the great cultural gathering of the Paris re-entry, with the other 33 European patrimony journeys which will take place on September 17 and 18 of 2016, around the theme: “Patrimony and Citizenship”. Paris also proposes its visitors and curious people to discover its patrimonu for free through a series of activities for all kinds of audience. To start this culture and patrimony journey in Paris with the right foot, book your stay in Paris on the first historical Youth Hostel of Paris: the BVJ OPERA-MONTMARTRE, an exceptional Parisian hostel, built by the architect Auguste CONSTANTIN, restored by Louis VISCONTI, old place of dwelling of the explorer BOUGAINVILLE, the princess WAGRAM, and then offered as a gift from the emperor NAPOLEON to the actress Mademoiselle MARS: a unique place with a lobby which served as the supplementary inventory for historical monuments, its paved courtyard, its murals and halls to be discovered on the arrival day! Paris Fashion Week / “Ready to Wear” Fashion Show : From September 27 to October 5 2016. A new week of Parisian Fashion. There’s no doubt that, once again, they’ll all be there: Balmain, Dior, McCartney, Chanel, Saab, Hermès, Mabille, Margiela, Owens… This Parisian week of ready to wear fashion shows happens from September 27 to October 5 2016. These new journeys of the very agitated Paris Fashion Week will give you the opportunity to find out the tendencies of the coming season! They will all be there! Their fashion shows took place on exceptional locations, as the Grand Palais, the Tokyo Palace, the Fine Arts Palace, the George Pompidou Center, the Louvre Oratory, the Wagram Hall, and even at the house of ambassadors. But for this 2016 week, the locations are kept secret! Take note that from September 8 till 31 October 2015, the “Paris Rendez-Vous”, the concept store at Hôtel de Ville, opened the doors of the Parisians Dream Dressing Room. This free expo revealed the genesis of 50 new Parisian fashion houses. It presented this new generation of creators that holds the dynamism of Parisian ready to dress fashion; it’s couture, its jewelry, accessories and shoes. Before anything else, think about booking your accommodation in Paris, and enjoy a stay in Paris close to the show-offs and the best night clubs at the BVJ CHAMPS-ELYSEES MONCEAU. 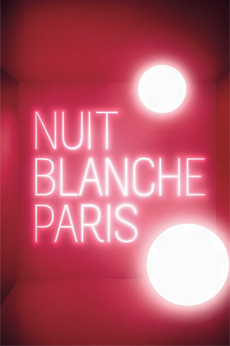 Nuit Blanche : October 1st 2016. At the heart of the public space, as well as in the most hidden locations, remarkable artwork created by artists from the whole world will be awaiting your visit, specially on the surroundings of the BVJ Champs-Elysées Monceau Youth Hostel, with the nocturnal illumination of the mural of the subversive painter Henri GERVEX or the diptych of Elisabeth DESDOUIT. Triumph Arch Prize : 1st and 2nd October 2016: this unique weekend will gather the best pure-bloods, more than 200 horses, a first class spectacle where the best aces and jockeys in the world will march in Paris before an audience of more than 50 thousand people. To avoid sleeping in the stables, book a budget bed in Paris in one of the BVJ Youth Hostels, take out your hats and go to the Paris hippodrome to feel the thrill of the 95th edition of the greatest international gallop sportive gathering, with all of the cinema, sports and television celebrities… as well as the Parisian mob wearing their beautiful hats! Again this year, the 95th Triumph Arch Prize launches it’s elegance contest which will award the couple of most elegant spectators at the end of the day. In short, a must-see Parisian event that you can’t miss, at two steps from the BVJ Champs-Elysées Youth Hostel. International Auto Show Paris 2016 : From October 1st until the 16th! It’s the must-see gathering of all the professionals of the international automobile industry. More than 250 international brands will be present for a beautiful new auto show. An internationally acclaimed event that offers the opportunity to see dozens of premieres, extraordinary stands and innovative animations. For more information, go to the news session of the BVJ website for an article dedicated to the Paris Auto Show. 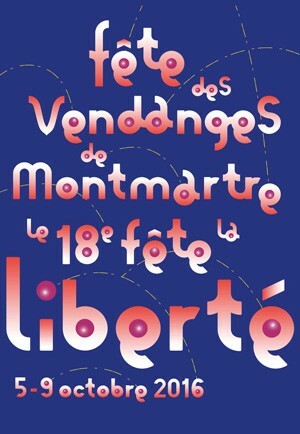 Montmartre Harvest Festival: This year, Montmartre celebrates Freedom. A theme that predicts a beautiful program from 5 to 9 October 2016 in Paris. This festival, which takes place on the surroundings of the BVJ OPERA-MONTMARTRE Youth Hostel, perpetuates a beautiful popular manifestation. The amazing Montmartre Harvest Festival is a moment of sharing that gathers colorful spectacles, walks and expos opened to everyone around the Montmartre area. Once again, more than 400 thousand spectators are awaited in the streets of La Butte (a nickname of Montmartre). Expos, concerts, performances, tasting of handmade and farm products and diferent animations take place every year to amuse adults and kids, Parisians and tourists. After Mistinguett, Sandrine Bonnaire, Nolwenn Leroy, Anaïs, Olivia Ruiz, Firmine Richard, Victoria Abril, Naomi Campbell, Carole Bouquet and Angunn, the 2016 edition welcomes the singer Camélia Jordana, an inhabitant of the neighbourhood and this year’s sponsor. Science Festival : From October 8 to 16 2016, with the Ministry of High Education and Research. The Science Festival consists of thousands of free animations all around Paris. On that occasion, Science invades the public spaces and researchers come to you right at the center of Paris. A FEW STEPS AWAY from the BVJ LOUVRE Youth Hostel: The math rally (Paris Diderot university campus). Come with your college or school students to solve math problems in the great rally proposed on the 9th and 10th of October in the Paris Rive Gauche campus. The reservation is compulsory: ufr-fds@math.univ-paris-diderot.fr. Or choose a bit of mathemagic with university researchers-teachers who will perform card towers, mentalism, divination, the blind bartender problem… Those tours will then be developed and studied under the light of their scientific and mathematical properties. It’s an opportunity to unblock real questions and vocations. The 12 Miles of Paris: October 9 2016, in a festive environment in Paris, with 1200 volunteers and 300 firemen, a departure in waves with an incredible team of pros disputing and a new female record. Since it’s beginning, the departure of the race starts at the feet of the Eiffel Tower. The runners gather in front of the Trocadéro, then go right and follow the Albert de Munn avenue that has the double aspect of being paved and uphill. Nevertheless, this hard start is the only difficulty in this route famous for its beauty and absence of inclination. As a matter of fact, after a long loop relatively pleasant in the Bois de Boulogne, the runners border the Seine until Carrousel Bridge and then towards the Quai Branly, place of the finishing line. This route allows to pass close to a great number of monuments, specially the Palais de la Découverte, the Grand Palais, Louvre Museum, The d’Orsay Museum, and also the new Museum of African, Asian, Oceania and American Arts and Civilization! Do not hesitate to book your stay in Paris in one of the BVJ Youth Hostels: the first, most central and most Parisian of all Youth Hostels in Paris. For the BVJ residents who wish to participate in the race, the showers and shower-kits will be available for you after the effort! The Autumn Hall: Date yet to be defined. Nevertheless, as usual, it will take place in the Champs-Elysées Avenue, a few steps away from the BVJ Champs-Elysées Monceau Youth Hostel. This hall is an art expo that happens in Paris since 1903. It’s particularity is the multidisciplinarity, so you’ll see paintings, sculptures, drawings, pictures and applied arts all together. The Taste Week: From October 10 to the 16 of 2016. Started by Jean-Luc Petitrenaud and the Sugar Collective, the Taste Journey took place on a Monday, October 15th of 1990, in the Trocadéro Square. Seduced by its concept, the Ministry of National Education agreed to participate, making the Taste Week official. 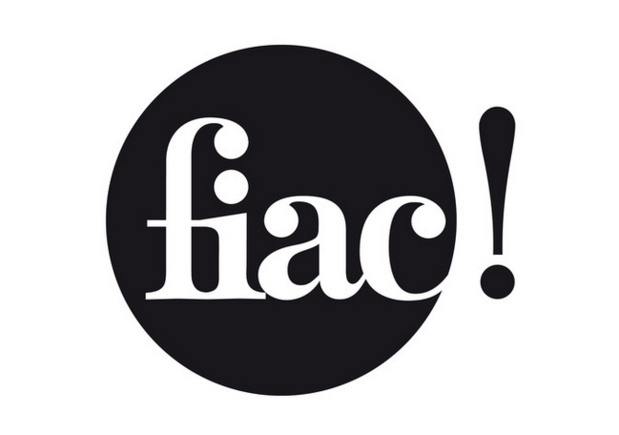 The FIAC: From October 20 to the 23. The International Contemporary Art Market is a must see. With close to 200 galleries from 25 countries, it confirms its status of major international event. Paris Comic-Con : October 21, 22 and 23 of 2016. It’s the most expected gathering of all literature, cinema, music and imaginary fans. Beware: Only 3500 3 days passes with be sold! In the program, the actors Dominic Purcell (Legends of Tomorrow), Katie Cassidy (Arrow), Eliza Dushku (Buffy the Vampire Slayer); the artists Pierre Christin and Jean-Claude Mézières (Valerian et Laureline) ; Tony Moore (The Walking Dead), Greg Pak (Hulk, X-Men), Wiliam Simpson (Hellblazer). The costume designer Stephanie Maslansky (Daredevil); the Cosplay star Leeana Vamp… therefore, book your stay in Paris and buy your pass ASAP! The Autumn Fair: In the Porte de Versailles Expo Hall, from October 21 to 31. The very favorite autumn event, open for 10 days the general public, with 400 exposers and brands, 120 thousand visitors and interactive workshops. This Paris Fair is destined to the whole family. This event allows to discover its novelties and tips, but, most of all, to participate in 1000 free animations and workshops. These Paris Fair days get in tune with the cocooning lifestyle. The fair overflows with good ideas for decoration, well-being, cooking and having fun to help you go through this season with serenity: all the tips to create a cozy home and find out new flavors. 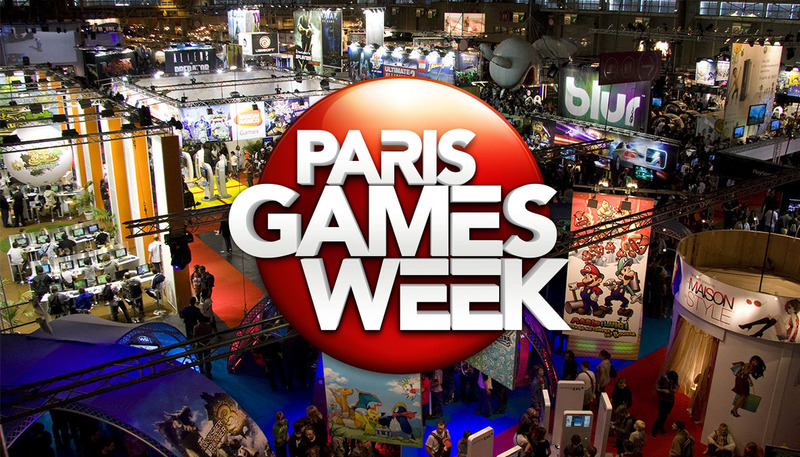 Paris Games Week : From October 27 to 31, the videogames make their show! Taking place at Porte de Versailles, the Paris Games Week is also the occasion to score the goodies of your favorite games and find some “pokestops”! There’s even one hidden inside of the BVJ LOUVRE Youth Hostel! A world famous videogame hall, the Paris Games Week evolves every year by changing its components in order to make the event more pleasant and friendly to its visitors. With attendance records always broke by numerous gamers from all around the world and often staying in the BVJ Champs-Elysées Monceau Youth Hostel in Paris, with its free high speed Wi-Fi connection in the lobby and its 24h open soft bar, so that the organizers don’t think twice about staying again! It is therefore certain that the third greatest videogame show in the world, only after the Taipei Game Show and the Colone Gamescom will be a fantastic event! The Chocolate Hall: From October 28 until November 1st 2016, the Chocolate Hall returns to Porte de Versailles for its 22nd edition, and promises a gourmand and festive interlude with more than 120 000 visitors in five days: the biggest event in the world dedicated to chocolate and cacao. Almost 500 French and international participants will be present in the 20 000 squared meters space: chocolatiers, pastry cooks, confectioners, next to the biggest chefs, pastry chefs, designers and experts who will be together to offer you recipes, workshops, conferences and other animations about chocolate. A unique opportunity to discover and taste chocolates coming from all the 5 continents! A renewed program with exciting animations for both adults and kids. 2016 will be a grand cru… of cacao! A trip towards the future of chocolate, but also a return to the sense and the origins of cacao. Masters Paris-Bercy : From October 29 to November 6 of 2016, this Masters Tournament 100 will take place in a hard indoor court. The Paris-Bercy Masters is the last important event before the London ATP World Tour Finals, where every year the 8 best tennis players of the world face each other! Du 29 octobre au 06 novembre 2016, ce tournoi Masters 100 se déroule sur un terrain dur en salle. Les Masters Paris-Bercy ont la particularité d’être le dernier tournoi d’envergure avant l’ATP World Tour Finals de Londres qui oppose chaque année les huit meilleurs joueurs du monde ! Christmas Lights and Shop Windows: Since the beginning of the month of November, the fronts of the big Parisian shops display their most festive decorations: The Galeries Lafayette, the Printemps Haussmann, a few steps away from the BVJ OPERA-MONTMARTRE. Make the most of these Parisian shopping temples and enjoy a stay in Paris, either with your family or for a shopping escapade in Paris! The Photo Hall : From November 10 to 14 of 2016. 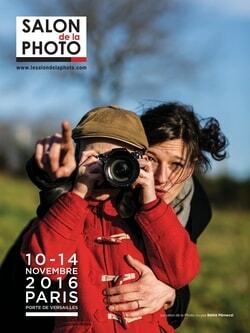 It is the emblematic event for all the pros and amateurs who love photography in France. The 2016 Photo Hall will take place at Porte de Versailles. Contrary to the previous years, it will be at the 5th Pavillion. A unique event in France, it gathers all about photography today. It’s addressed to everyone, pros, amateurs and the general public. The 2016 edition disclosed its poster highlighting sharing and transmission: a woman with a child, immortalized by the Hungarian photographer Balint Pörnezy from Zoom 2015 for his series Figurák, which contains pictures of people in black and white polaroids, from very different social classes, anonymous or famous, taken throughout his travels. 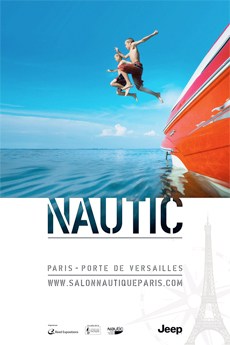 Paris Naurical Hall : December 3 to 11, 2016: A must see event since 1962, to find out all the latest innovations as well as numerous animations in honor of the water sports histories, through the domains of race, sailing, design and environment. Christmas: Decmber 25! 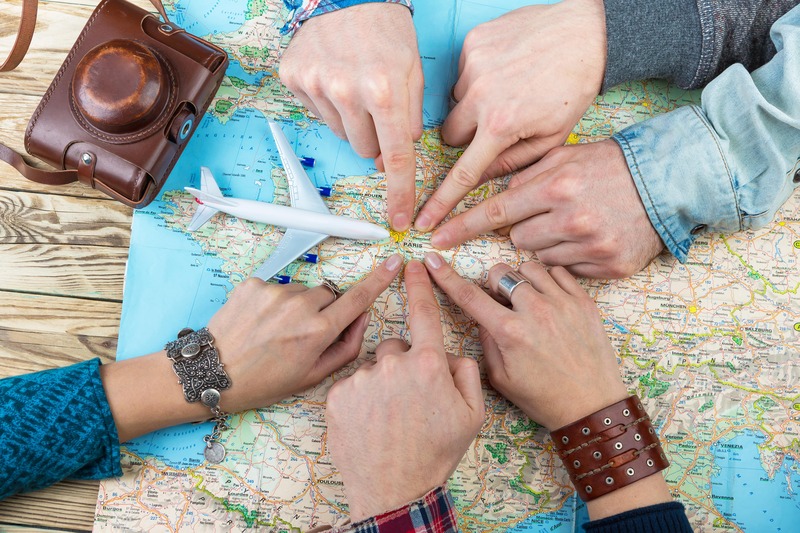 The gift from BVJ PARIS Youth Hostels, a night from 19 euros and the best breakfast of the year offered by all of BVJ Paris teams: Louvre, Quartier-Latin, Champs-Elysées Monceau and Opéra-Montmartre… So don’t hesitate, chose an original family holiday or a group trip to Paris, and stay in the first and most central Youth Hostels of Paris for a young and simple stay in exceptional residences anchored in the history of Paris, and benefit from our fantastic locations! New Year’s Eve: December 31. We offer you all you need for a great night. For those planning on going out on a club or looking for a unique place for a young stay in Paris, don’t hesitate and choose the BVJ PARIS Youth Hostels: the first, most central and more Parisian of all Youth Hostels in Paris!